At Talking Trendo, catch know what happening in latest trends. We help you to let you know what’s going in latest trends. Write reviews and give vote for your favorite one. 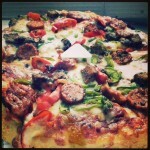 2721+ User Votes to help you find the best in Domino's menu items. Domino's will now deliver pizza on Indian Trains. Now a train passenger can also order and enjoy hot pizza at his or her seat while traveling. The passenger can also order through toll-free number 1800-1034-139 and 0120-2383892-99 or an SMS to 139 giving details of his PNR and seat number. How can i make order by SMS SMS ("MEAL <PNR>" at 139) e.g. "MEAL 4400917093" at 139. Regular - It is for one Person. Large - Three and above. Side Orders - It helps as appetizers. Burger Pizza - Domino's Pizza Introducing all new Burger Pizza with the tag line looks like a burger, tastes like a pizza. Burger Pizza is burger sized but comes in a small pizza box. It is come with pizza toppings such as herbs, vegetables, tomato sauce and mozzarella, sandwiched between two buns. 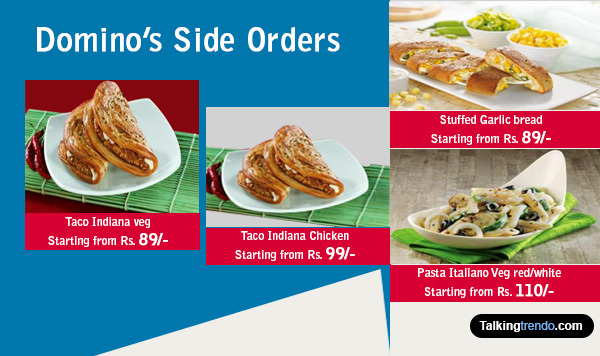 Domino's Pizza offer in a vegetarian and chicken variant Burger Pizza with prices starting at Rs 80. 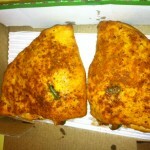 It will be available at all the Domino's restaurants across India. Monday Magic - Get 20% off on Monday and earn 30% discount coupon for your next order during this week. Domino’s Special Coupons for ordering online. Offer valid from Thursday to Saturday. Special Offers - Get a 25% discount on order of minimum Rs. 350 or Rs. 100 off on bill of more than 400 rupees. Friday Freakout - Order one pizza and get discount of 50% on Second Pizza. 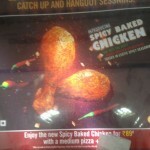 You also have a range of offers when you go for In-house Dining to your nearest Dominos Outlet. 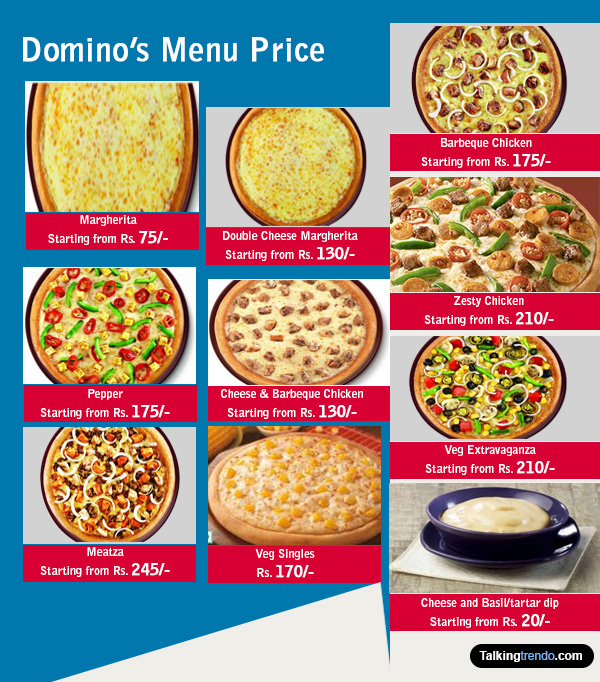 Domino's have added two new products in there large menu one sweet dish Custard Bliss for Rs 49 and a new base of double cheese crunch for Rs. 85. 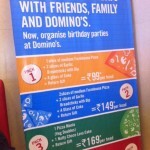 In India Domino's competes with the likes of Pizza Hut, Chicago Pizza and Insta Pizza. 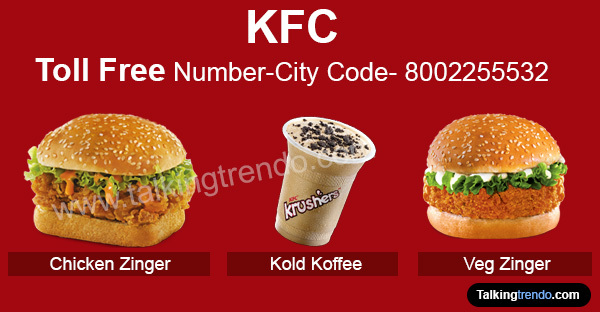 Check SBI Credit Card Customer Care Number to know latest offers on Domino's Pizza.